The Sunday Times has announced the launch of its Reader’s Choice Travel Awards, which celebrates excellence across all sectors of the travel and tourism industry in South Africa. Leaders in local travel and tourism will be recognised across 22 categories as voted for online, via the Sunday Times, with a print readership of more than 2.1 million people. 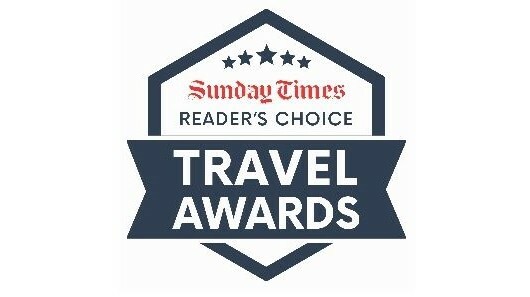 Category winners will be announced at the Sunday Times Reader’s Choice Travel Awards and conference that will take place in Johannesburg in September. Reardon Sanderson, GM group sales and marketing at Tiso Blackstar, says, "Understanding the key role that tourism plays in our economy, it’s important for the industry to be applauded for their professional efforts." With partnership opportunities available, Sanderson says companies need to get on-board in acknowledging an industry that provides employment for millions of South Africans and has made South Africa a top travel destination globally. "With this new and exciting initiative comes the opportunity for companies to not only partner with the prestigious Sunday Times brand but to also gain recognition for their work in improving the quality of South African hospitality. It’s a boarding pass to broaden existing networks with industry stakeholders while gaining traction with discerning consumers," says Sanderson. Individuals, businesses and companies will nominate themselves for the awards programme by completing the relevant entry form, which will be made available online. Once entries have been confirmed in the correct categories, consumers will be invited to vote via an online survey. There is no cost associated with entries, and all nominees will be published when voting opens.